1942 Luftwaffe Aerial Photo of Netley Marsh showing site of HMS Safeguard. HMS Safeguard was a World War II Royal Naval shore establishment set up as a rest and recuperation centre housing naval gun crews from defensively equipped merchant ships (DEMS). Many of them needed to convalesce after being wounded or simply needed rest and recuperation after working on the Atlantic convoys. In 1940 HMS Safeguard supplied ratings to man a Hotchkiss Machine Gun which was mounted on the top of Catchcold Tower in Southampton used for anti-aircraft defence. 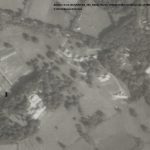 The site was originally Loperwood Manor, built c1860, and was requisitioned by the Royal Navy, presumably along with the large house on Tatchbury Mount. The Defence of Britain database records that both buildings were demolished in the 1970s, presumably along with the footings of ancillary buildings believed to have been built in the grounds. Tatchbury Mount is now the site of an extensive NHS mental hospital and the grounds have changed considerably. 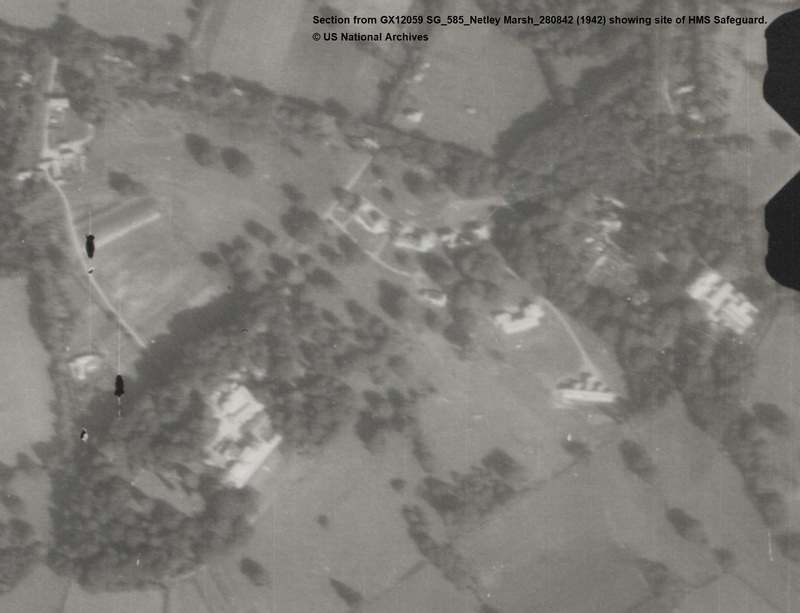 However, the ground around Tatchbury Mount itself is relatively undisturbed. 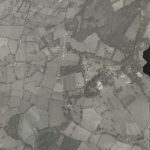 Though what remained of the site is visible in an aerial photograph of 1954 further investigation may be able to reveal a full plan of the site during the war and a site visit may be able to identify any physical remains. 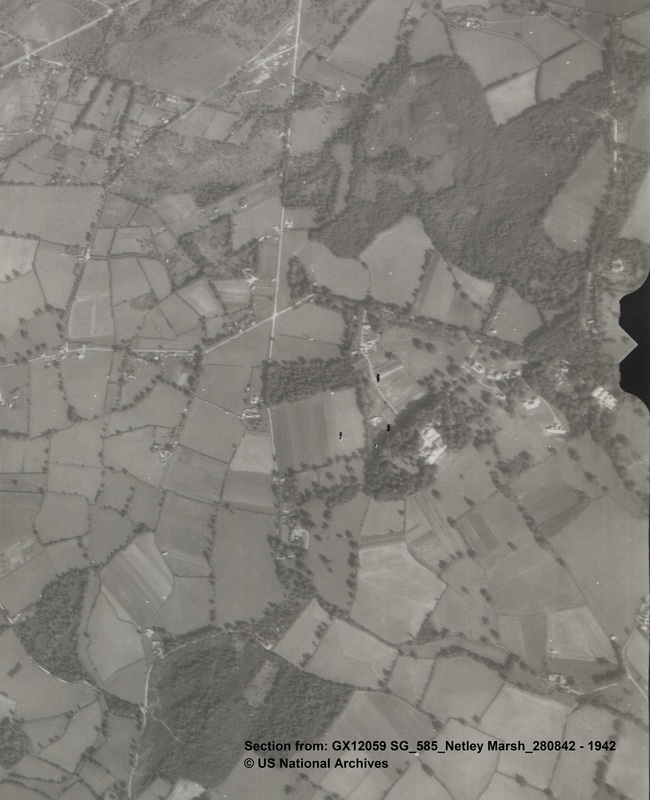 The structures visible in the 1954 AP were digitised as part of the New Forest National Mapping program and visible via the map view. Tatchbury Mount Royal Naval Shore establishment (MKM6768).